As a community, we've been wrestling with serverless definitions and use case examples. So, for the 4th episode of CodeTalk, we sat down to speak with the original creator of the Apache OpenWhisk prototype, Rodric Rabbah in an effort to defog the cloud around serverless. 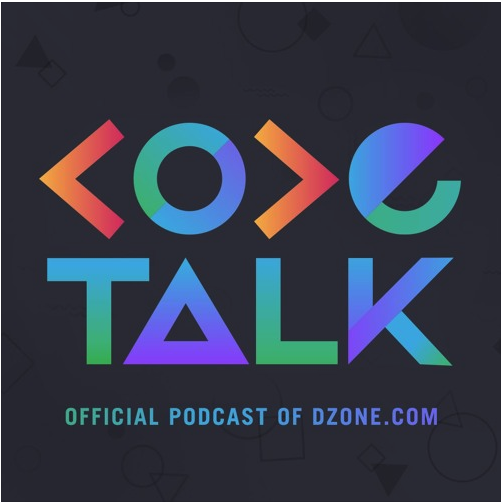 Thanks for tuning us into DZone's CodeTalk Podcast where you can listen to hosts Travis Van and Travis Carlson have early conversations with the creators of new developer technologies. Tune in every Wednesday for a fresh episode, and if you're interested in being involved as a guest or have feedback for our hosts scroll down to the bottom for contact information. As new abstractions crumble the wall between dev and ops, the modern developer is increasingly tasked to not only design the application, but also understand how it will perform in production. Serverless has emerged as one of the most intriguing new directions for how business logic and functions are managed in the Cloud. As a community, we've been wrestling with serverless definitions and use case examples—so, in this episode of CodeTalk we speak with the original creator of the Apache OpenWhisk prototype (and part of the core IBM Cloud Functions Team at IBM), Rodric Rabbah. Rabbah breaks down some key concepts that will help any developer better qualify serverless and answer the whens and whys of using it. Early days OpenWhisk—the vision and goals from one of the project's creators. Where serverless fits into the containers and Kubernetes world. The evolution of how the serverless model handles "state" and memory. Design considerations for functions themselves—what is the right size/responsibility of a function? How does composition of functions work, and what are the main trade-offs and concerns? If you're developing in this model, what does troubleshooting and debugging of serverless look like? We're still in the early stages here with the relaunch. But soon we hope to give our CodeTalk landing page a facelift and are going to house all future and past episodes in this one place. For now, stay tuned to DZone for weekly episodes released each Wednesday. And, if you'd like to contact the showrunners to get involved as an interviewee or just simply share your feedback, feel free to message Travis and Travis here: codetalkpodcast@gmail.com.